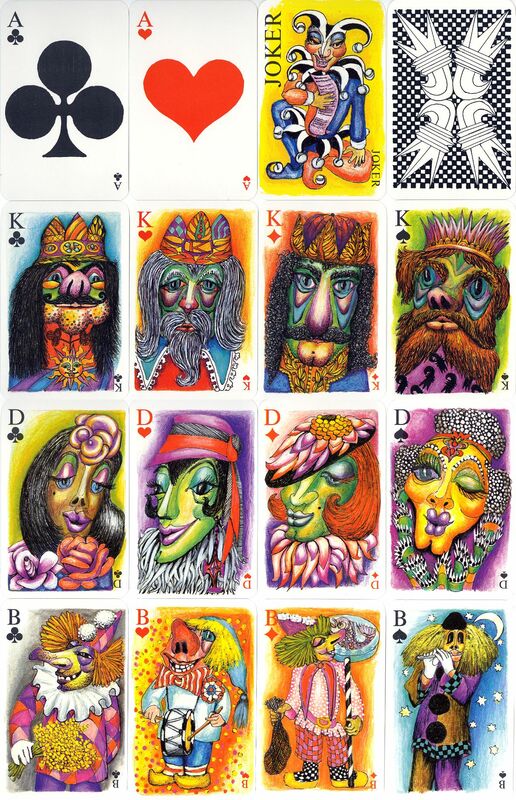 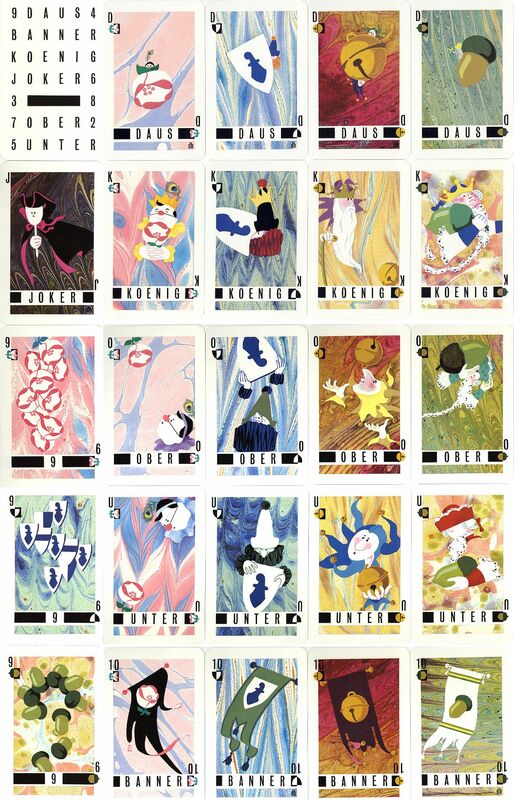 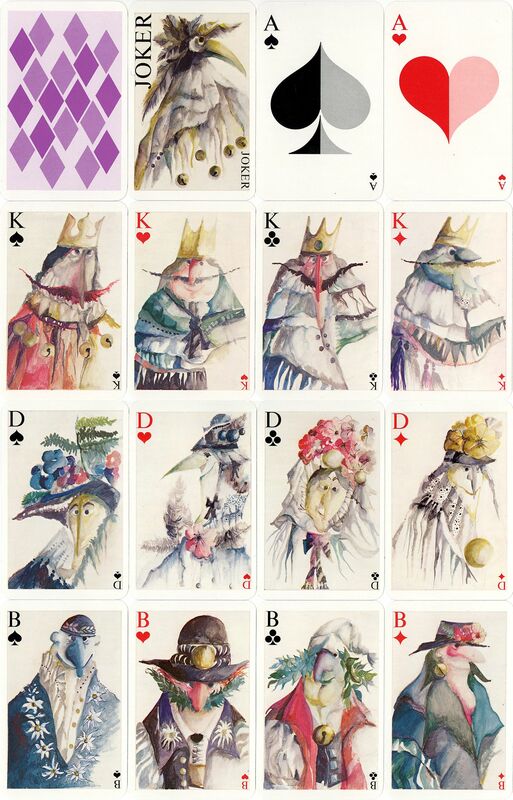 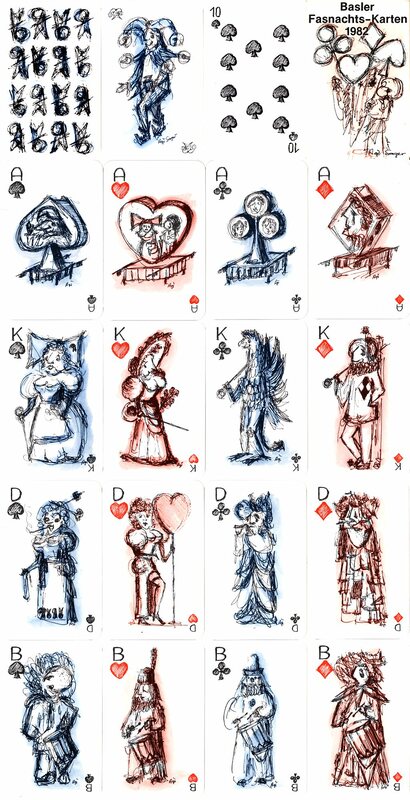 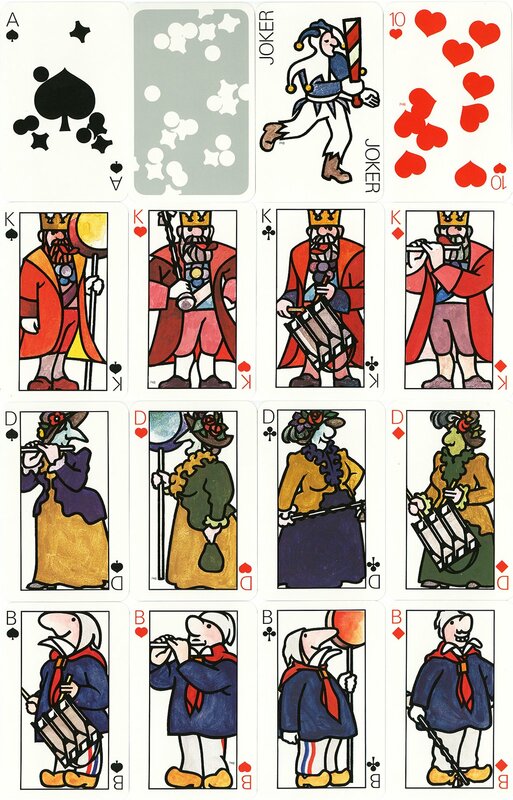 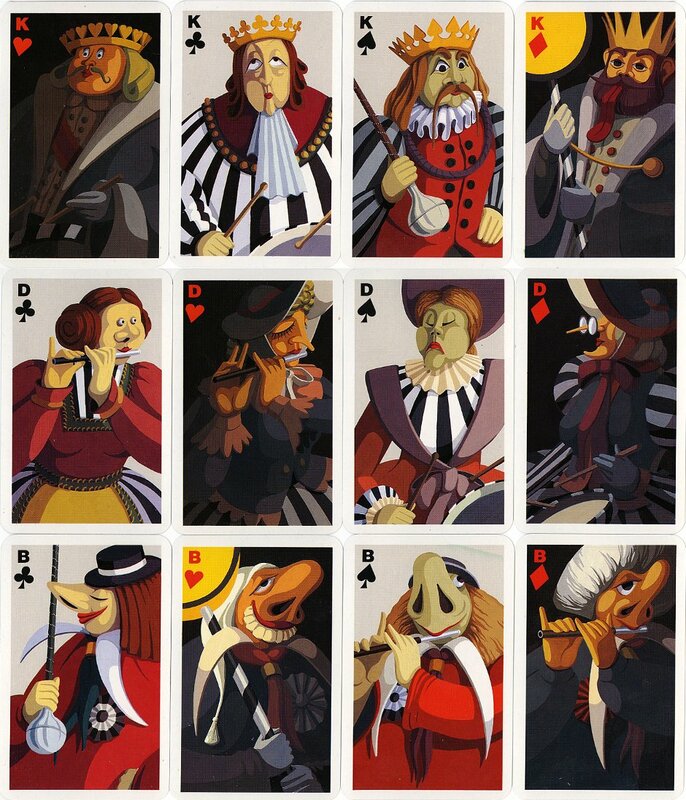 Above: the 12 court cards from the 1987 Basler Fasnachts-Karten deck designed by Marianne Pomeroy and printed by Müller A.G., Neuhausen a/R. 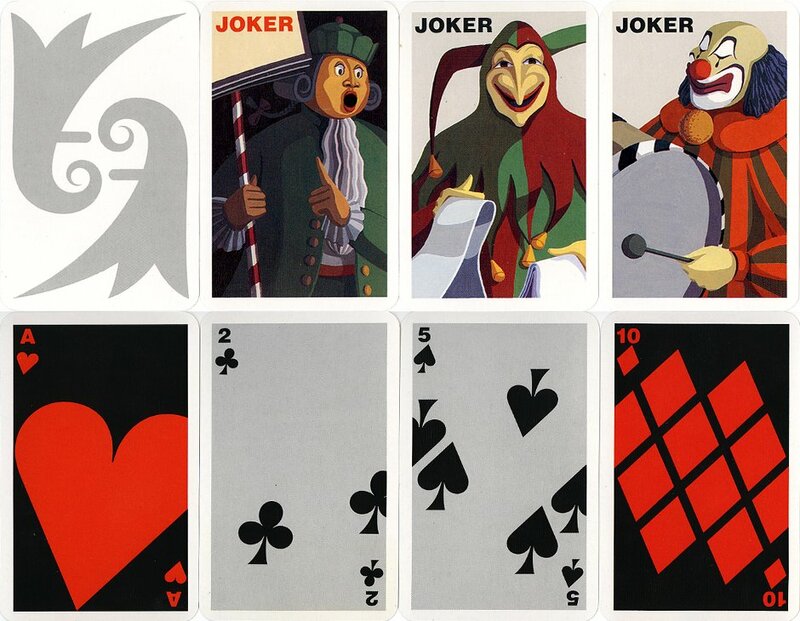 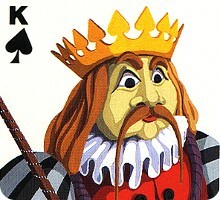 52 cards + 3 Jokers. 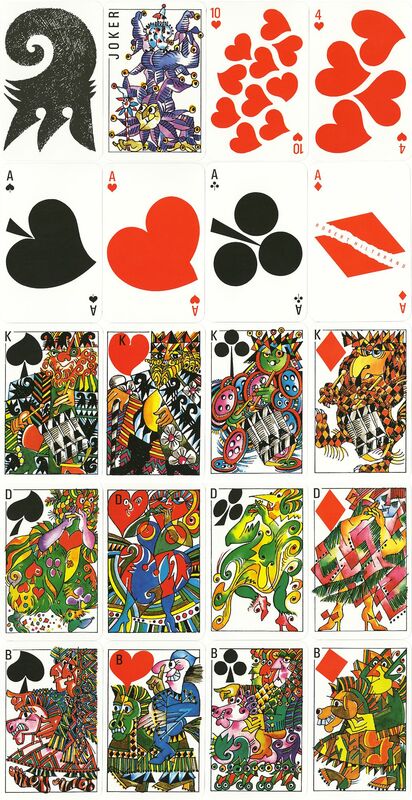 Above: all images courtesy Barney Townshend.